During this meeting the time frame and pricing will be reviewed and discussed. Our team of Architectural Technologists will work with your ideas and sculpt them into a Concept Drawing. 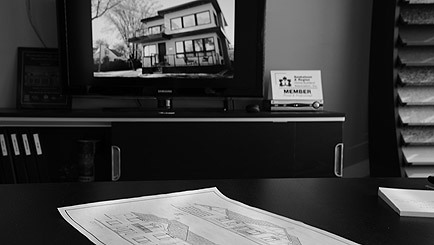 Concept Drawings include: Floor Plans, Front Elevation and Site Plan. This is typically enough for a builder to give you a rough estimate. 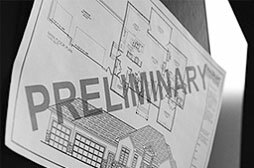 After the Preliminary Design is completed; our design team builds a set of contract documents typically called "blue prints." During this stage the client will review the drawing and request and minor revisions. 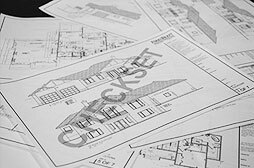 After the Checkset Drawings are confirmed and completed, our design team will finalize the contract documents into Construction Drawings. 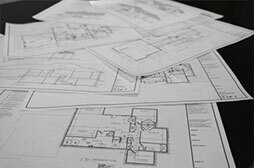 The Construction Drawings allow you to estimate and obtain permits to manage the construction of your home. 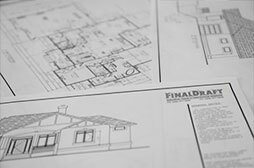 The Construction drawings are the first step to a well-built home. Standard decks and garages included.